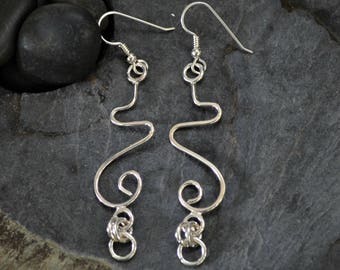 Solid 925 sterling silver earrings are hand forged from heavy weight wire. With seven strands of fringe and 2 sterling silver spheres. These earrings have tons of swag and sway. They were inspired by a pair my mother made for me when she was learning to silversmith back in the 80's. Mom's no longer with me, except in spirit, but I think she'd be proud. They hang just over 2-1/2 inches long including the earwires and 5/8 inch wide. Earwires are ball and coil and 20 gauge sterling silver. 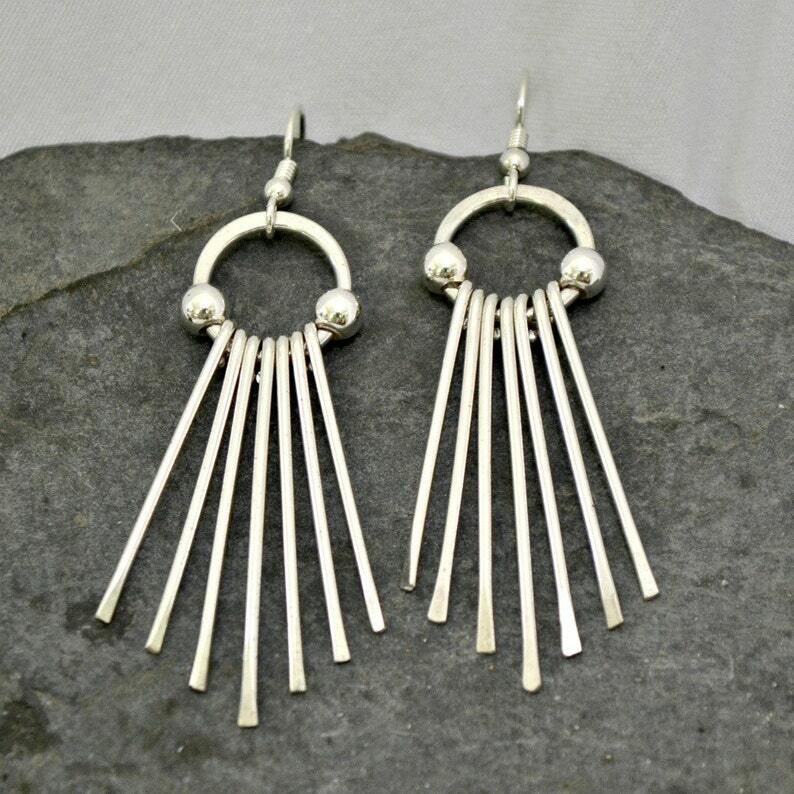 There is a real Southwestern feel to the style of these earrings. Just love the dangles too. Love, love, love these earrings. Can wear them with everything - casual or dressy! They will be a go-to pair for sure. Terri's work is flawless as always!